Green is more than just a color; it's a lifestyle, money-saver and even a career. The Weatherization Program teaches corpsmembers conservation and opens the door to job opportunities in the new green job market. 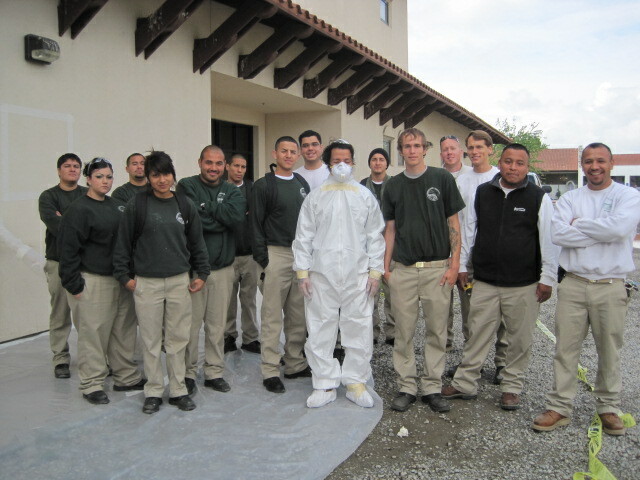 Sequoia Community Corpsmembers in the Weatherization Program develop the skills to fill demand-driven jobs in the new green economy, while contributing to the creation of healthier households as a result of CSET's weatherization services. The Weatherization Program works as a pathway into post-secondary education, meaningful certifications and credentials. Corpsmembers, supervised by CSET’s certified on-staff contractors, weatherized 261 homes in 2015 throughout Tulare County. This service helps low-income families have more money to spend on food, medicine and other essentials. To see if your household qualifies for weatherization services, please visit the Home Weatherization Assistance page. CSET is proud to be distinguished as a Lead-Safe Certified Renovation firm by the US Environmental Protection Agency (EPA). This certification enables us to conduct lead-based paint renovation, repair and painting activities during the performance of weatherization services.